BONUS Sunday Assembly - International Style! 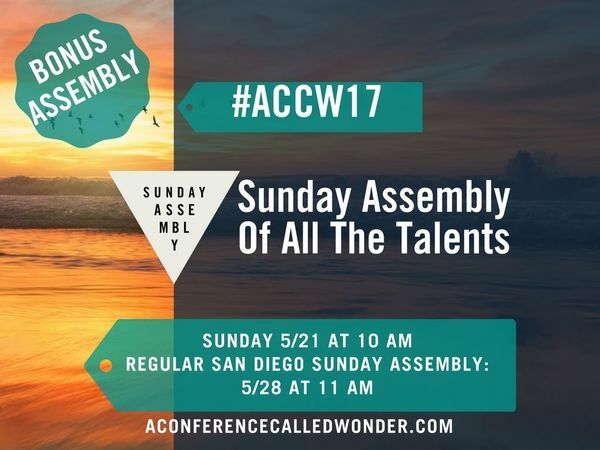 We will have a BONUS Sunday Assembly to close the international conference. As all asssemblies, this is free to attend. Join assemblers and organizers from all over the world in this super high-energy assembly.